We reserve the right to change this disclaimer at any time. The information contained in this website is provided for informational purposes only. It is general in nature. It is also provided “as is”. There is no guarantee of completeness, accuracy, timeliness or correctness. It is provided without warranty of any kind, expressed or implied. This website does not constitute an offer of representation. It also does not create an attorney-client relationship with Melville Johnson PC or MSPBAttorneys Media LLC. Viewing this website and communicating with Melville Johnson PC or MSPBAttorneys Media LLC by electronic mail does not create an attorney-client relationship. Contacting Melville Johnson PC or MSPBAttorneys Media LLC through the internet is not considered secure. As a result, you should not send confidential or sensitive information that may be illegally intercepted by others. The information contained in this site is not meant to substitute for specific legal advice given by a licensed attorney in your state based on your individual situation. Therefore, do not act on or rely on any information in this website without seeking the advice of an attorney. In no event will Melville Johnson PC be liable for any decision you may make or action you may take in reliance on any information this website contains. Various pages on this website contain links to other companies, services and resources on the World Wide Web. These include the Merit Systems Protection Board (also called the MSPB). These links are provided as aids and as a public information service only. Melville Johnson PC and MSPBAttorneys Media LLC make no representations regarding the quality of services offered by any of these companies or individuals. Melville Johnson PC and MSPBAttorneys Media LLC also make no representations regarding the accuracy or any other aspect of information in other websites. We offer this disclaimer to protect you. This is because the details of your case will always matter. When as a federal employee you report a violation of law, a gross waste of funds or mismanagement, an abuse of authority, or a substantial danger to public health or safety, you become a whistleblower. 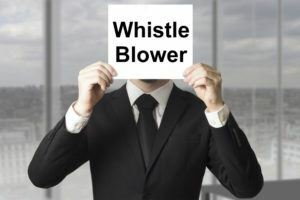 Whistleblowing is seen as essential to the functioning of an honest and efficient government, and as a result numerous bi-partisan federal laws have been enacted to protect whistleblowers and encourage whistleblowing activity. At Melville Johnson PC, we think of whistleblowers as modern-day heroes, and our attorneys are committed to helping federal employees report wrongdoing by their agencies and protecting them from any type of retaliation for doing so. When a federal employee discloses what they reasonably believe to be evidence of government wrongdoing, they immediately fall under the protection of the Whistleblower Protection Act of 1989. Under the Act, protections were put in place so that federal employees can report government activity they believe may be illegal or unethical without fear of retaliation. Also, censorship of analysis, research, or technical information which will cause or causes gross government mismanagement or waste, specific and substantial danger to public safety and health, abuse of authority, or violation of any statute or law. In November 2012, Congress enacted the enhanced Whistleblower Protection Enhancement Act of 2012 law. This Act substantially strengthened the protections given to a federal whistleblower under the original Act of 1989. It also recognized whistleblowers as a critical element in helping to expose abuse, fraud, mismanagement, waste, and public safety threats to safety and health across the entire Federal government. In addition, it asserted that whistleblowing disclosures can save billions of dollars and countless human lives. They make the disclosure to a person who took part in the disclosed wrongdoing. This can include a supervisor. The employee was off-duty when making the disclosure. Information in the disclosure had already been disclosed. The employee’s motive for disclosing is questioned. If you are a federal employee who disclosed information regarding government wrongdoing and feel you are facing retaliation, you need legal representation. The attorneys at Melville Johnson, P.C. have been protecting federal employee whistleblowers from retaliation for more than a quarter century. We have the experience and expertise it takes to fight on your behalf and ensure you receive all appropriate legal protections. Please feel free to contact us by phone at 888.594.0424, or fill out the form on the right hand side of this page and we will be in touch promptly. What Types of Retaliation Are Whistleblowers Protected Against? Whether the issue is food safety or financial integrity, disclosures made by whistleblowers are one of the most effective tools to promote government and corporate accountability. Q. If my employer retaliates against me for whistleblowing, how can my lawyer protect me? Federal whistleblower attorneys file your lawsuit confidentially.A. It is illegal for your employer to demote, harass, discharge, threaten, suspend, or discriminate against you in any way for filing a whistleblower claim. If your employer retaliates, your attorney may file a lawsuit, an Individual Right of Action (IRA) on your behalf against your employer. If you are terminated, they can seek reinstatement and get you back pay (double the amount lost). Q. When false claims are submitted to the Federal government, what are the potential civil penalties and damages the government can incur? A. 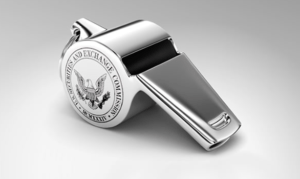 A whistleblower lawsuit can hold the person, individual, or company defrauding the government liable. Also, it can require them to pay three times the fraud amount. This amount in added to a civil penalty ranging from $5,500 to $11,000 per claim. Medicaid fraud can carry a very large civil penalty because each fraudulent Medicare invoice requires a separately filed claim. Q. 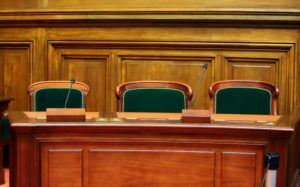 Can I keep my whistleblower lawsuit a secret or can I disclose anonymously? A. A whistleblower lawsuit is a confidential filing. The general public as well as the accused (which may be your employer) will not be able to view it. The accused will also not learn an investigation is ongoing or who made the claims starting the investigation. The whistleblower’s name will not become public, even if the government does not choose to litigate a specific claim. There are some cases, though, where the whistleblower’s name must become public. This includes instances when the investigation cannot move forward without the revelation of the whistleblower’s identity, or when they are vital in the judicial proceedings (as a witness or other key party). Even if the whistleblower’s identity becomes known, there are still laws to protect them from retaliation. Our federal whistleblower lawyers will fight for you. At Melville Johnson, our federal employment attorneys are well-versed in all aspects of whistleblower protection. We are here to help protect your rights should you need to blow the whistle, or if you face retaliation for it. As attorneys representing whistleblowers, we have presented claims to the IG and Office of Special Counsel (OSC), pursued claims of Whistleblower Retaliation at OSC, and as an Individual Right of Action at the Merit Systems Protection Board (MSPB). We will work tirelessly to help you achieve a positive outcome. If you believe your employer is retaliating against you for whistleblowing, or you want to blow the whistle, give us a call or fill out the contact form on your right, and we will be in touch with you promptly. RESULT: Our client was a civilian federal employee subjected to a hostile work environment at the Department of the Navy because of his disability. Advocating on his behalf, our firm secured $67,802.00 in damages, then negotiated the restoration of substantial annual and sick leave hours as well as a reassignment to a different supervisory chain. RESULT: Our client was a professional with the Transportation Security Administration, and as he approached retirement age the federal agency began increasing his workload and placing unreasonable deadlines on his assignments in order to force him out the door. He was eventually terminated, at which point we successfully negotiated a fair and reasonable settlement in the amount of $77,000.00. RESULT: Our client was a civilian federal employee working for the Delaware Air National Guard, and was wrongly terminated for the alleged unauthorized use of a government credit card. After demonstrating that Caucasian employees in the same department regularly made the same use of their cards, we were able to successfully and quickly negotiate a $75,000.00 settlement for our client based on EEO laws governing wrongful termination related to his race. "The consummate professionals at Melville Johnson work closely with you to ensure your rights are being protected. As a current federal employee, I found myself in a situation where the job I was asked to do didn’t match the position description for which I was hired nor the compensation I deserved. With the firm’s help, I was able to obtain back pay and transfer into a position that matched the job I was performing." 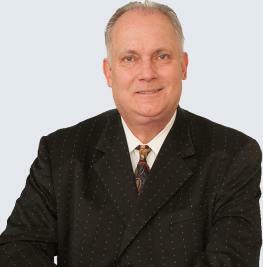 "Melville Johnson, PC's handling of my Merit Systems Protection Board (MSPB) case was superlative. From the day I first contacted them to the completion of the case, everything was handled promptly, efficiently and professionally. They advised me well, worked with me to develop--and keep me apprised of--strategy, and aggressively pursued resolution that would be beneficial for me. I was very satisfied with every aspect of their handling of my case." "As a person with a disability working for the federal government, I knew I needed to get the right legal professional assistance for my case. And while the process could have been tedious and overwhelming for a layperson without much legal knowledge, Melville Johnson alleviated all the potential stress involved by taking the guesswork out of my hands. With their help, I received disability approval in record time! I want to thank you for the superior work your firm performed. From my very first contact, your Client Intake Manager took the time to answer all of my initial questions and provide detailed information at every turn. And your attorneys showed nothing but professionalism and kindness throughout the process." "I really appreciate how much Melville Johnson cared about my case. From the very beginning of the process, they were friendly and very informative. We won the case, and they were even helpful afterwards, answering any questions or concerns. Thank you Melville Johnson, and I will definitely pass your good work along to others in need"
Let our top-rated attorneys help you get the results you deserve! Call 888.594.0424 today or fill out the form below and we’ll be sure to follow up in a timely manner. MSPB Attorneys Media, LLC. 2870 Peachtree Rd NW #915-6086, Atlanta, GA 30305. (888) 594-0424. The information provided here in is general and for information purposes only. It does not constitute legal advice for any particular situation of facts and circumstances. If you have a need for legal advice, please consult with an attorney with your specific questions. Please see our Legal Disclaimer for additional information. © MSPBAttorneys Media LLC. All Rights Reserved.